Bollywood actor Shraddha Kapoor is all set to give you goosebumps in broad daylight in Terribly Tiny Tales' latest video. Taking on the role of a storyteller, Shraddha narrates a story of Mr Sharma and his horrifying encounter with an old lady in his residential building. Stree starring Rajkummar Rao and Shraddha Kapoor will hit the screens on August 31, 2018. Rajkummar Rao and Shraddha Kapoor-starrer Stree is making all the right buzz with their upcoming film Stree. 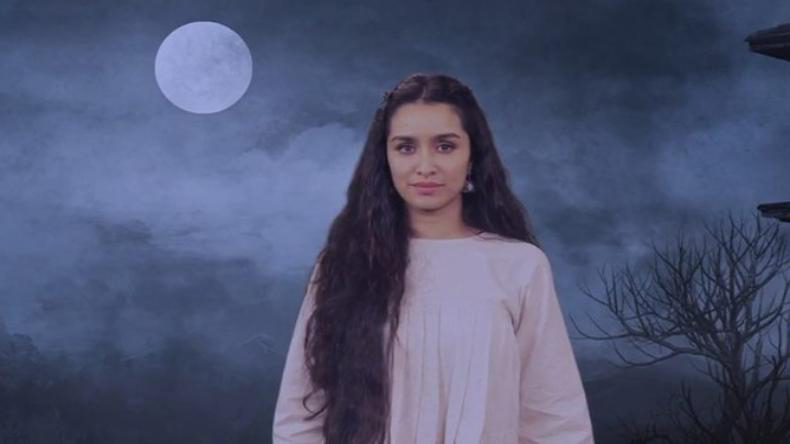 As Shraddha continues to maintain mystery around the character, the actor collaborated with storytelling platform Terribly Tiny Tales and narrated a horrifying ghost story that will goosebumps in broad daylight. Looking right into the camera, Shraddha narrated the story of Mr Sharma and his encounter with an old lady, who used to knock his door every night at 2 AM. Listen to what happens after he asks her to stop coming and knocking at his door every night. Helmed by Amar Kaushik and bankrolled by Dinesh Vijan, Raj Nidimoru and Krishna DK, Stree revolves around an Indian Urban legend Nale Ba. Starring Rajkummar Rao, Shraddha Kapoor, Pankaj Tripathi and Aparshakti Khurana, Stree has emerged as one of the most anticipated films of the year. The horror-comedy film will hit the screens this weekend on August 31, 2018. *Wearing headphones will dramatically enhance the experience. * TTT presents Read Out Loud – Season 01 with Rajkummar Rao & Shraddha Kapoor Credits: Story by Joel Thottan (@iammojojojoe) Narrated by Shraddha Kapoor (@shraddhakapoor) Director: Hardik Nagar (@thehonestmusings) Producers: Chintan Ruparel (@thethirdalphabet) and Anuj Gosalia(@anujgosalia) Executive Producer: Pracchi Batnagar (@pracchibatnagar) DoP: Vish Pijwala (@vishpijwala) Editing & Sound Design: Chanda Gauranga (@chedargooda) Designers: Shameen R Khatri (@shameenk) and Kshitij Jatale (@kshitijjatale) Team TTT: Sanjana Singh (@blabberer_on_loose), Joel Thottan (@iammojojojoe), and Aditi Maheshwari (@aditi_qwerty) What makes for a good horror story is a little bit of wit and a whole lot of quirk. With Stree, we talk about a crazy legend, that comes true and wreaks havoc in the lives of common people. Visit https://m.youtube.com/watch?v=gzeaGcLLl_A (Link in bio) to watch the trailer.